Antioxidants, which contains a group of vitamins, minerals, natural dyes and other compounds present primarily in vegetables, have the resources of preventing the harmful effect of free radicals. A balanced diet with plenty of fruits, vegetables, legumes and cereals helps the body to combat oxidative action or delay it effectively. Vitamins, minerals, and compounds in the food have antioxidant assets. Vitamins A, C, and E are among the most well known, as are beta-carotene, lycopene, and selenium. That does not imply that it will not grow old. But it will be healthier to fight the disease, activate the healing process of the body and get stronger into old age. Here are few traits about antioxidants in our food that we eat in our daily life. Water: It is essential for life because it maintains blood pressure in optimum conditions, nourishes cells, allows the kidney to function properly and eliminates toxins and waste substances. 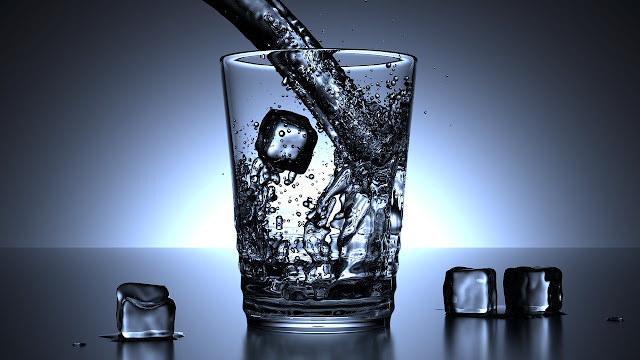 The healthiest ingredients of water are, for example, sodium or potassium, which regulate physiological processes; Magnesium that helps fight stress, or calcium and fluoride, which provide beneficial qualities for our bones and teeth. 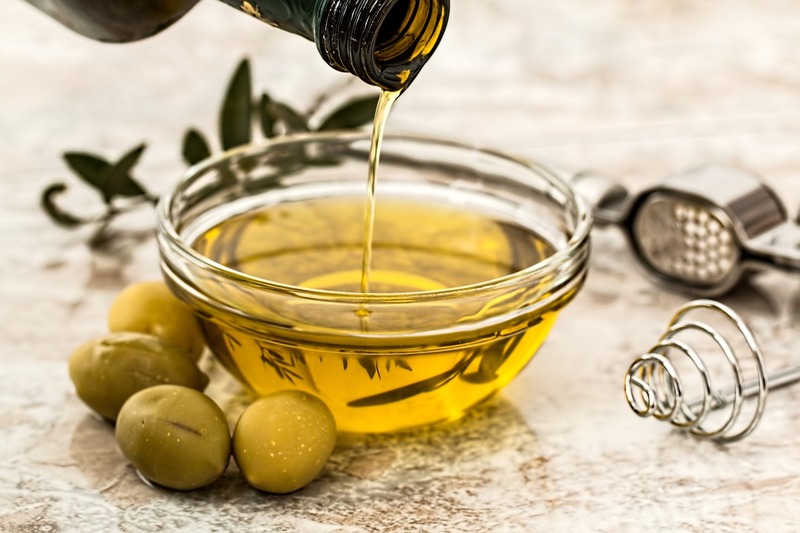 Olive oil: Contains several substances that prevent the aging of the tissues. Also, it protects the stomach from ulcers and gastritis thanks to its reducing action of gastric acidity. It increases intestinal transit and prevents constipation. It also prevents cholesterol plaques, responsible for atherosclerosis, from attaching to the arterial walls, increases HDL or good cholesterol. 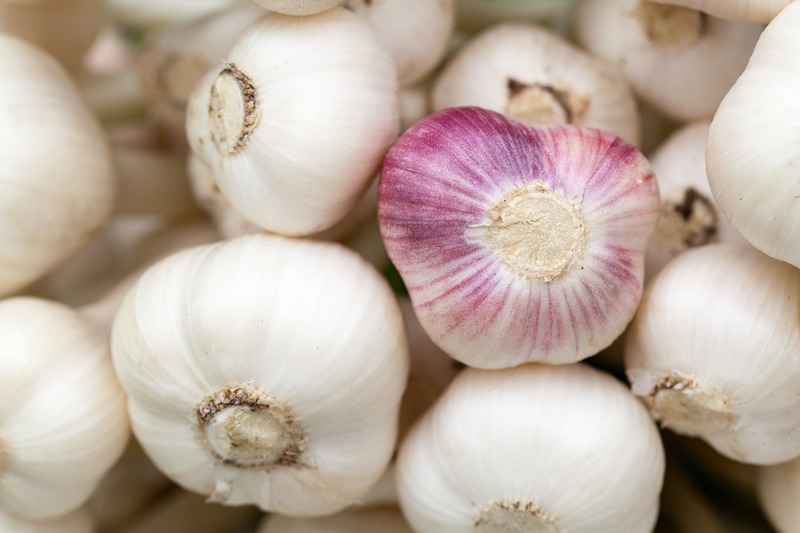 It is also believed to defend against some types of breast cancer. 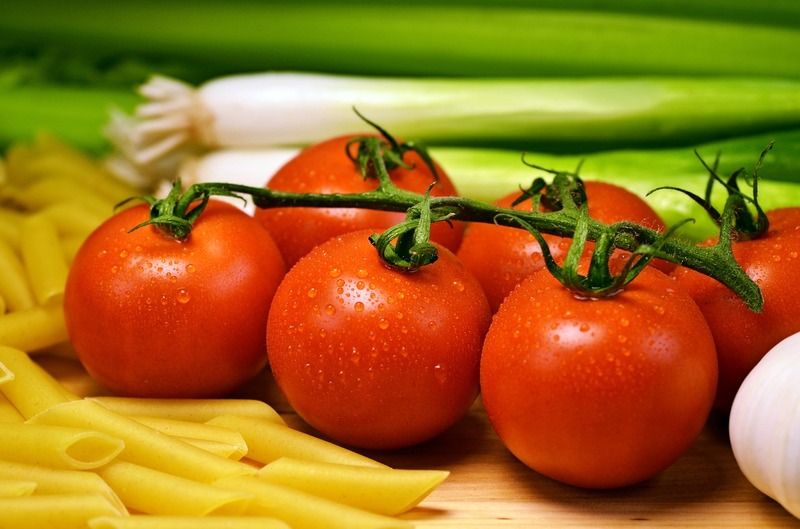 Tomatoes: Contains lycopene, a substance that makes this food that red color so appreciated. Lycopene, besides, is an antioxidant substance that causes that the cells of the prostate do not become decontrolled and grow of abnormal form encourages the appearance of a tumor. It also promotes the production of urine and strengthens the immune system with which you will have better health. 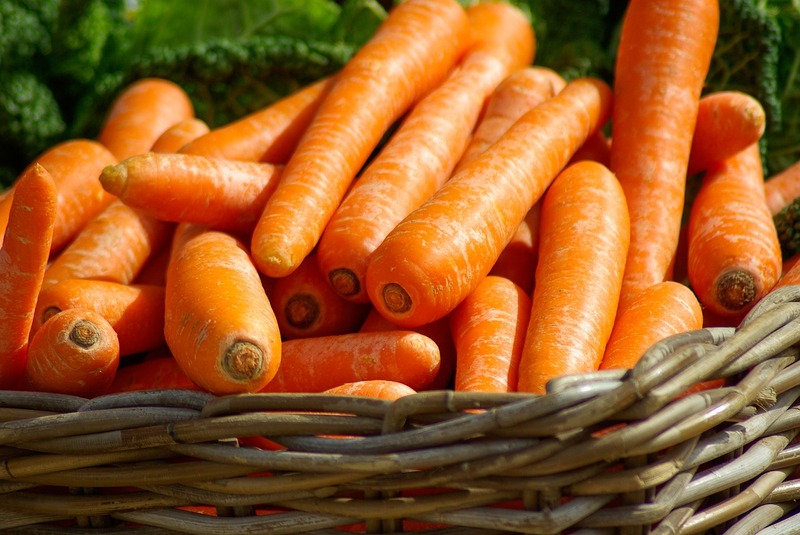 Carrot: It is an excellent source of vitamins B, C and E, and minerals. But its star composition is carotenoids – especially beta-carotene – and fiber. These substances have an excellent anticancer action. 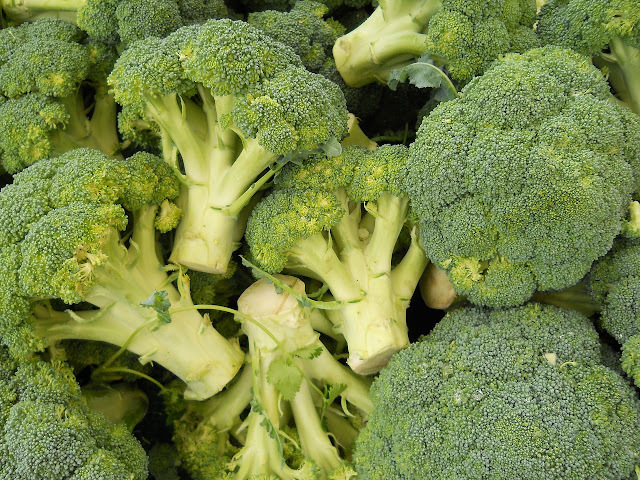 Broccoli: Contains proteins and carbohydrates, vitamin A, vitamin C, vitamins B1 and B2, calcium, phosphorus, iron and folic acid. Its star ingredient is sulforaphane, which stimulates enzymes that have the property of fighting harmful substances and which could produce a tumor. Green Tea: Its primary ingredients are polyphenols that reduce the growth of new blood vessels needed to cause the tumor to grow, expand and metastasize to other parts of the body. It has assumed that this protective action is thanks to Epigallocatechin Gallate (EGCG), according to scientists at the Institute for Cancer Research Japan. Only green tea contains it because when it matures and turns into black, it disappears. Some supplements that contain green tea may help prevent diseases. 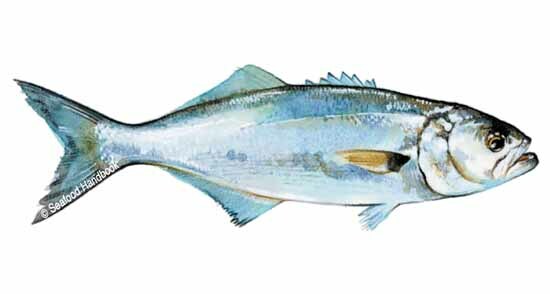 Blue Fish (Pomatomus saltatrix): It is very beneficial to our body, the polyunsaturated fatty acids Omega-3. Numerous studies have shown a protective action against inflammation of the body responsible for some diseases such as cancer, cardiovascular and other degenerative. It has also been proved to develop brain function, which is why pregnant women are advised to take it. Garlic: It also contains substances that can neutralize the action of carcinogenic substances. 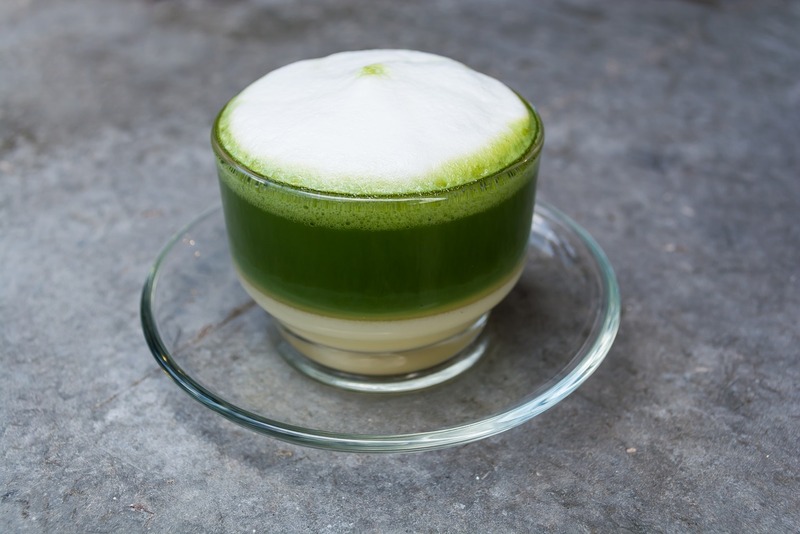 It is the case of polyphenols (like green tea) and sulfur compounds. It is also helpful in limiting blood cholesterol levels and preventing heart disease. On the other hand, it prevents hypertension and helps to avoid the formation of clots and thrombi, responsible for dying from a heart attack or stroke. 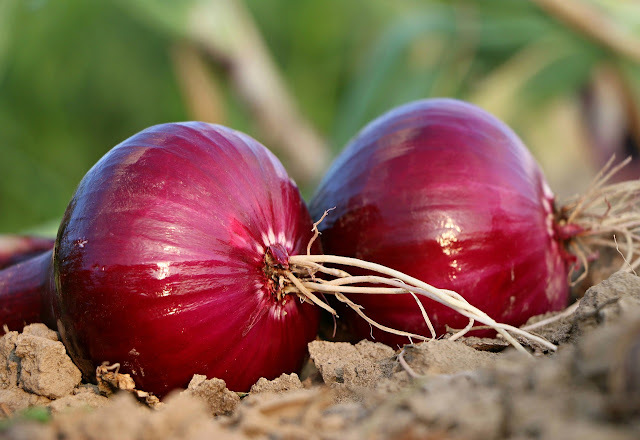 Onion: It is another indispensable food in a healthy diet that can help prevent and cure diseases. Contains glucomannan a substance that lowers blood sugar. Neutralizes stomach acids and stimulates digestion. Helps remove fluid that builds up in tissues. It has been used traditionally for angina and sore throat by gargling with water from cooked onions. 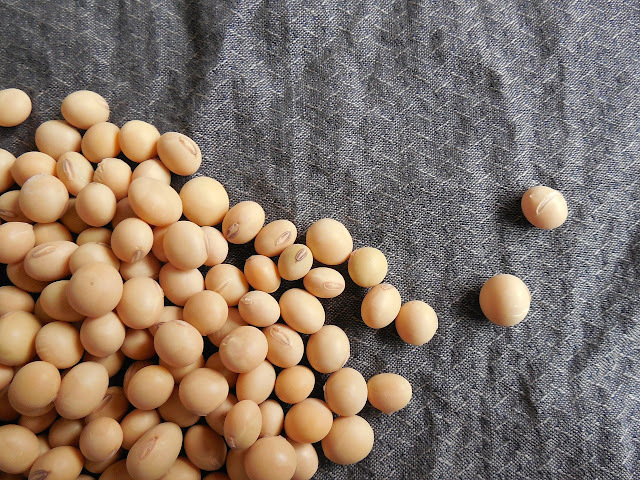 Soy: Surely you’ve heard of isoflavones. They are substances that have a structure similar to estrogens, the female hormones that protect us as they help prevent osteoporosis and protect our heart. They can also offer a better quality of life to women in menopause since they reduce hot flashes, control bad cholesterol and raise good and even protect against breast and endometrial cancer as long as they have not suffered before. 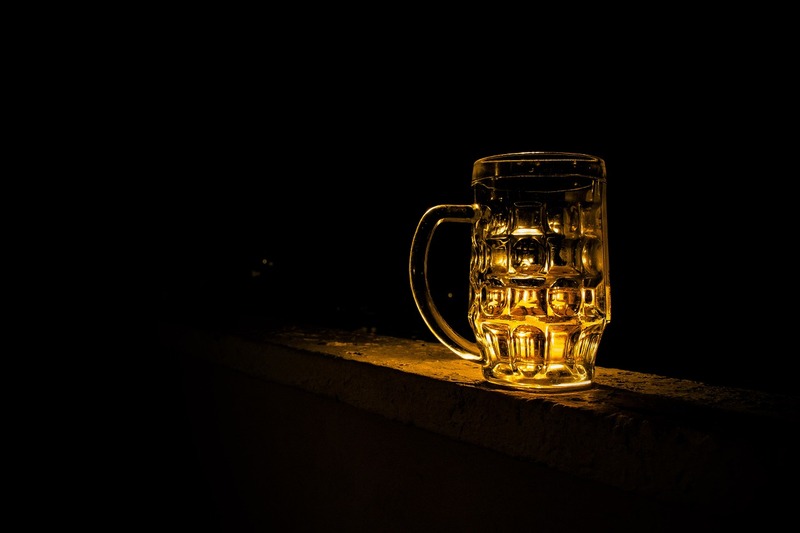 Beer: Surprisingly, it can also be a healthy food as long as is taken in moderation and preferably without alcohol. Its star ingredients are vitamin B, folic acid excellent for the diet of pregnant (no alcohol) since in that case could severely damage the health of the fetus. Beer also helps fight constipation. 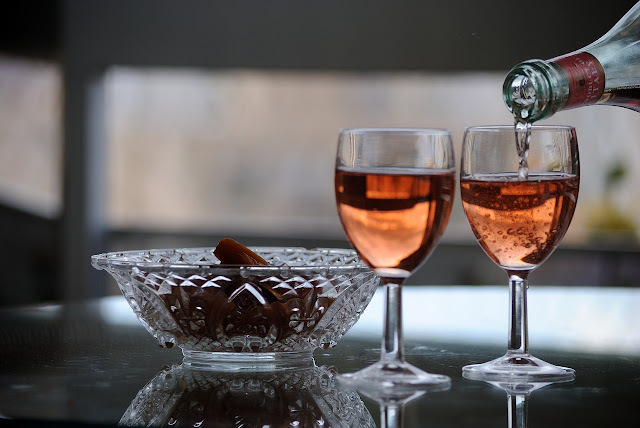 Wine: Flavonoids, polyphenols, tannins are some of the antioxidant substances in wine that are attributed properties to prevent and cure diseases. However, recently another substance has grabbed the attention of the scientific community. It is resveratrol, a substance that activates enzymes called sirtuins, regulating the aging of all living organisms. Resveratrol is found naturally in the grape, and it is under investigation for its preventive activity of initiation of tumors and cardiovascular diseases. 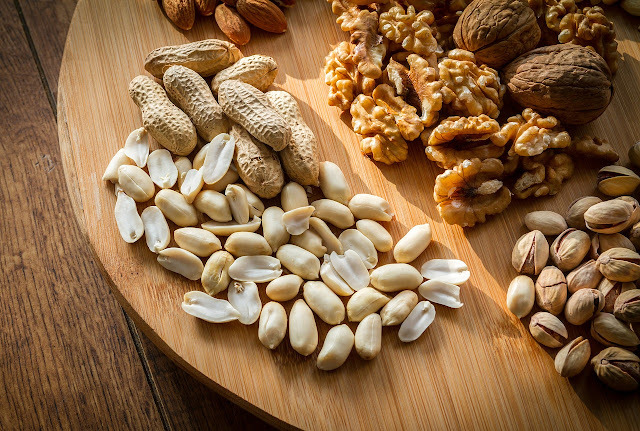 Nuts: Contains healthy fats for your body, the unsaturated ones that control triglyceride and cholesterol levels, and help us prevent heart disease. They are too rich in two antioxidant substances, vitamin C and E. Also, minerals such as calcium, manganese, phosphorus, selenium or zinc, protect our bones and also help us to maintain a good memory. Now you know the healing properties of some foods. Do not forget to include them into your healthy diets to prevent and cure diseases. The best way to consume them properly is to carry a varied diet. We propose that you take a look at the Mediterranean diet or the traditional Mexican in which these products that protect your health abound.